It’s definitely a busy time of year! Since it’s December, my Pinterest pins lately have been Christmas related. And honestly, even then, most of them would just remain pins until next year or the year after. But this year, mostly because of this blog, I’ve found I’ve been going through my Christmas board and trying ideas I pinned last year (while still pinning lots of new ideas :). I’m fortunate that I get to test out many of the pinned ideas with the kids at work. 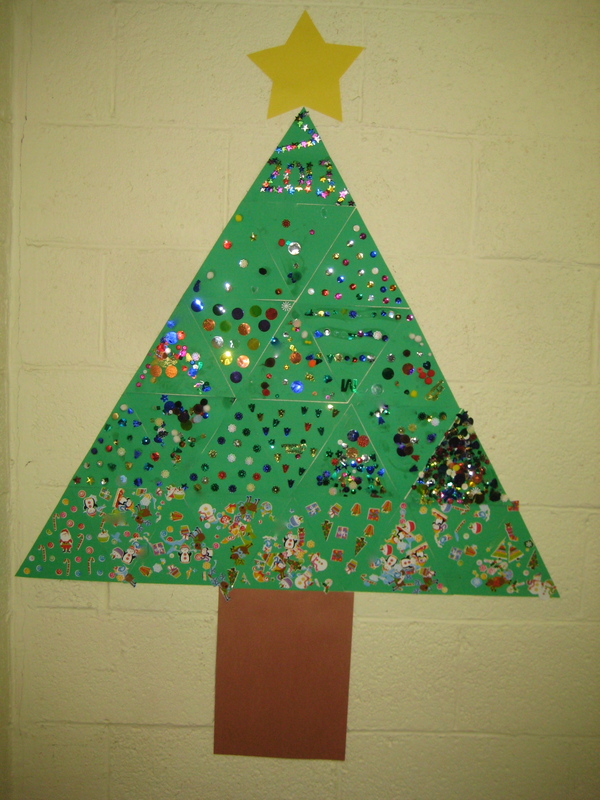 This week we made a Christmas tree craft, inspired by this pin. I liked how each child was able to create their own design…but when they were placed together to form a tree, the triangles complimented each other. All that is needed is an uneven number of equilateral triangles! I printed an equilateral triangle I found on a search engine and enlarged it with a photocopier. Then we cut out the triangles out of green bristle board. 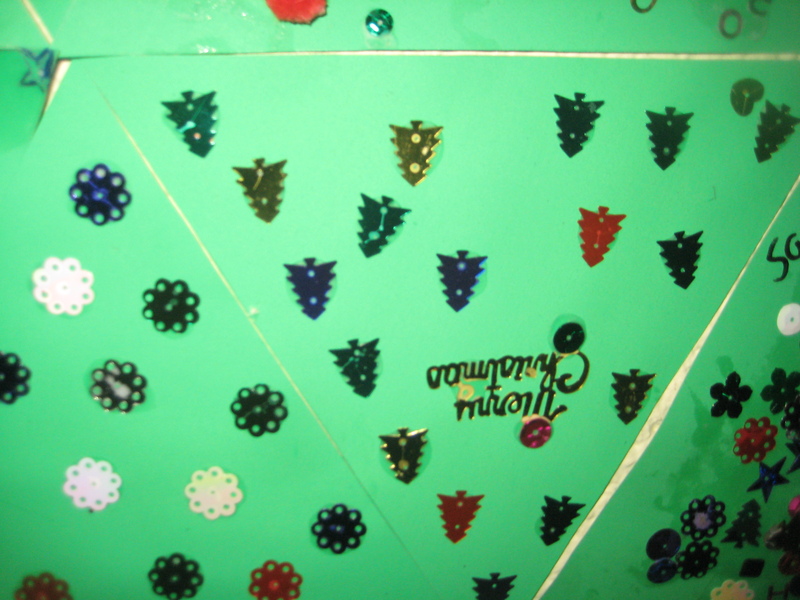 The kids decorated their triangles with sequins and stickers. Our tree is made of 25 triangles. 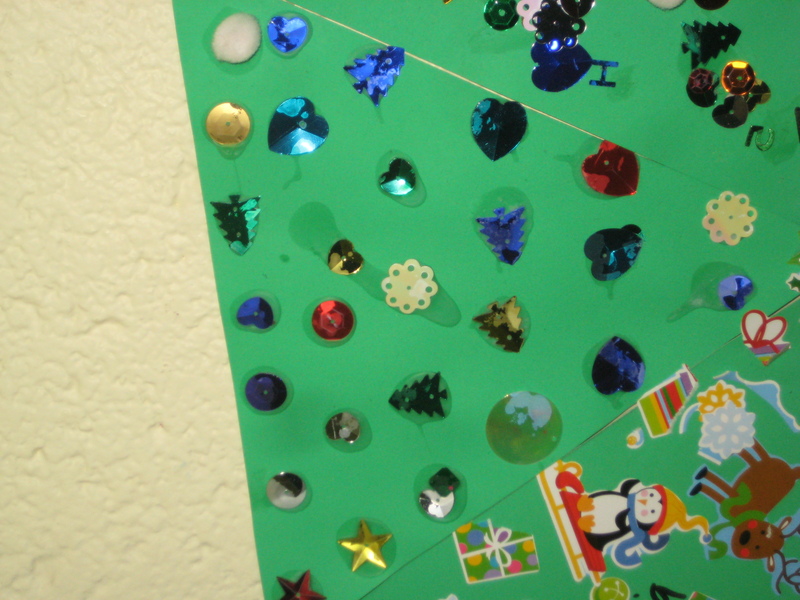 We added a star on the top and a brown piece of construction paper for the trunk….